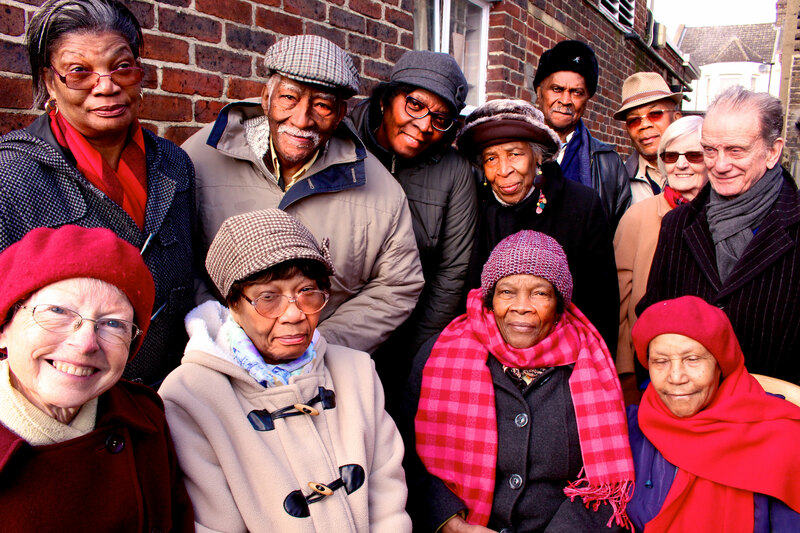 Bolder Voices is a unique singing group aged 65 – 94 who sing a mixture of original political material, West Indian songs and pop. We have a great new website, so for up-to-date information please check out: www.boldervoices.org. 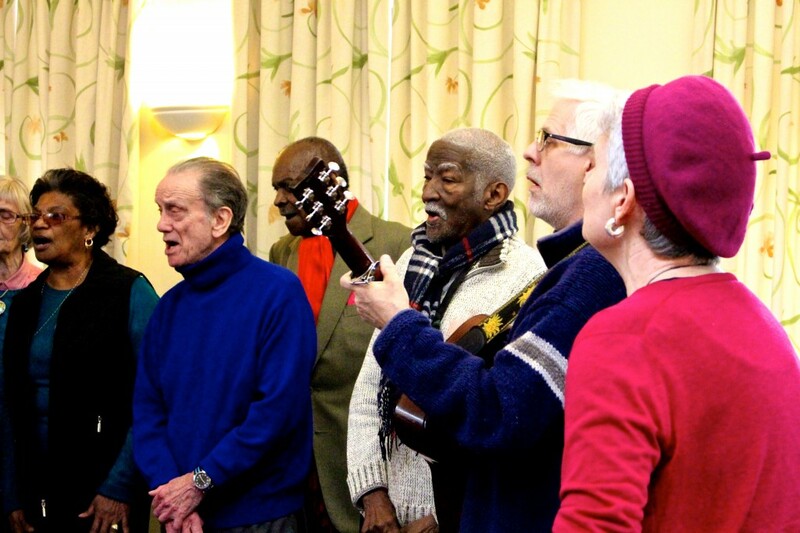 Bolder Voices is led by Clair and supported by guitarist Andrew Walpole. 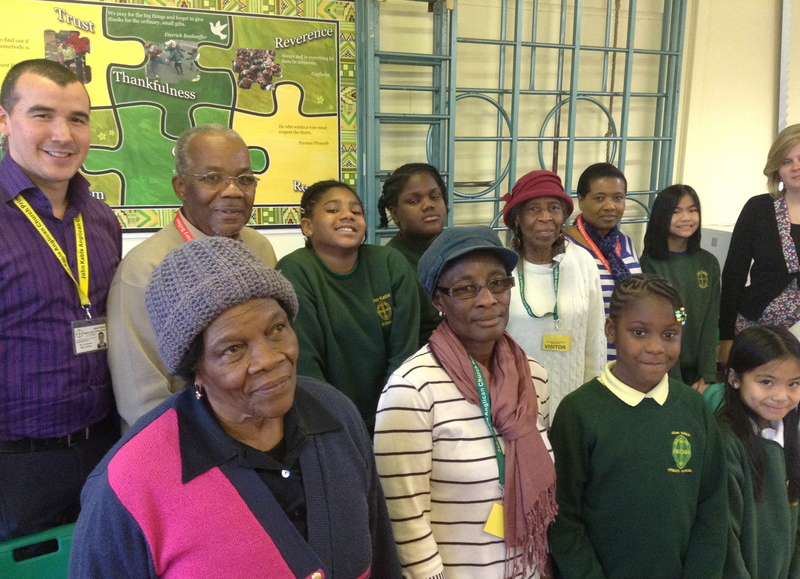 “I’ve got the blues…” Clair and Andrew are teaching 14 year olds at Queens Park Community School to write blues songs about how terrible it is to be 14! 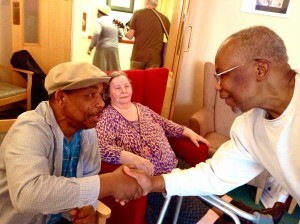 At the same time, Bolder Voices are running warmup and musical sessions at Lawnfield House residential home. 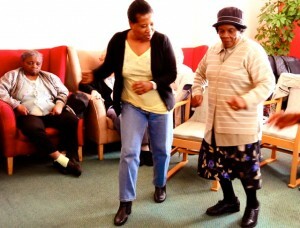 All groups will create and rehearse songs, and sing them to one another throughout the process. 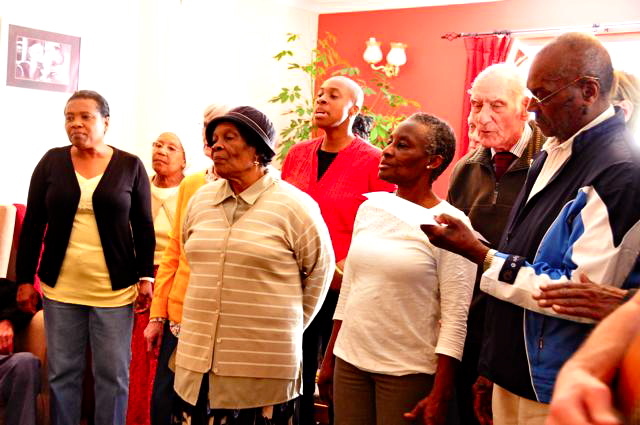 We’ve performed at the South Bank, Albany Empire, Brent Civic Centre and Age UK Camden’s AGM as well as at a variety of smaller venues. 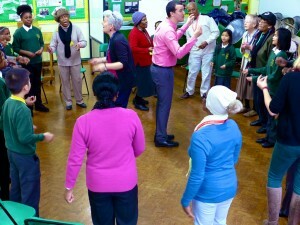 We sing a range of material and can write songs to order. 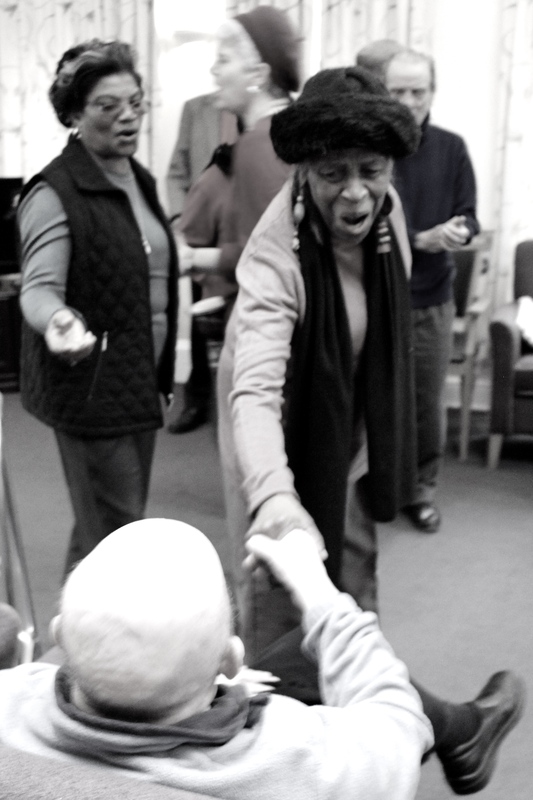 Bolder Voices rehearse weekly in Kensal Green and are always on the look out for keen new singers. If you think you might be interested in joining our friendly group, please write to boldervoices7@gmail.com for more information, or call Clair on 07958204551.